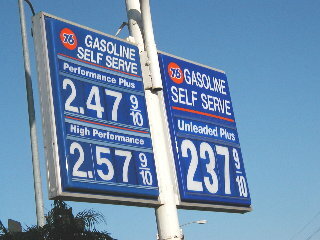 (October 11, 2004) -- While Reuters reports that gasoline prices nationally hover at roughly $1.99/gallon, drivers in the LB and L.A. can only dream of such a luxury. On October 10, 2004, LB area gasoline prices were generally above $2.20/gallon (unleaded) with several entering $2.30+/gallon territory (Bellflower/Spring, right; add'l photos below). As reported earlier this year by LBReport.com,Assemblywoman Jenny Oropeza (D, LB-Carson) convened hearings this spring (as newly named chair of the Assembly Transportation Committee) on soaring CA gasoline prices. Testimony indicated that CA's specially formulated gasoline costs about a nickel a gallon more to produce but during adverse market conditions the pump price could be as much as forty cents per gallon higher than elsewhere. In response, Assemblywoman Oropeza authored a non-binding resolution (AJR 90) urging the federal government to adopt CA's reformulated gasoline and diesel fuel standards as national fuel standards in hopes of increasing supply and minimizing price spikes. In response to rapidly increasing fuel prices, the Assembly Transportation Committee, in conjunction with the Assembly Select Committee on Gasoline Competition, Marketing and Pricing, recently held a series of hearings to determine the cause and impact of these price spikes and to explore possible solutions. 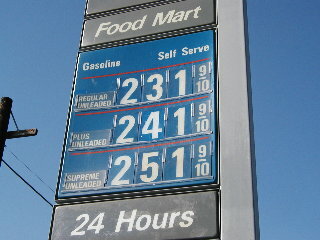 Much of the testimony at these hearings focussed on supply constraints caused by California being a "fuel island" due to its relatively unique blends of gasoline and diesel fuel. While California fuels cost perhaps $0.04 to $0.06 more per gallon to produce than do fuels used in most other states, under adverse market conditions, the price at the pump in this state can be as much as $0.40 higher than elsewhere. In a free-flowing market, shortages in one geographic area can be addressed by shifting supplies from other areas. In the case of gasoline and diesel fuel, California's aggressive measures to improve its air quality have resulted in what some have termed as "boutique" fuels that are not typically produced in or for other American markets. Consequently, fuel shortages tend to be exacerbated in California, with an attendant propensity for localized price spikes. The author [Assemblywoman Oropeza] contends that having uniform national fuel standards would help create more fluid markets and mitigate regional shortages and price spikes. Using California's formulations as the national standards would have the added benefit of improving air quality across the nation. AJR 90 passed the Assembly on a 44-31 (Oropeza & Lowenthal voting yes). 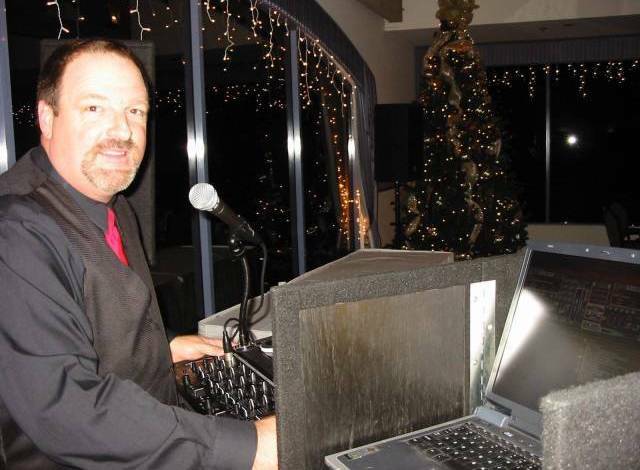 The measure went to the state Senate where it was referred to the state Senate Transportation Committee (chair, Sen. Kevin Murray) whose members include state Senator Betty Karnette (D., LB). The measure then apparently went nowhere. Meanwhile, as also previously reported on LBReport.com, in April 2004 CA Governor Arnold Schwarzenegger requested a waiver from the federal Environmental Protection Agency of certain federal clean air rules for making gasoline. The Governor said this could help moderate price spikes, increase refiners' flexibility in producing gasoline and improve air quality. Governor Schwarzenegger's request -- which sought an immediate waiver -- echoed a similar request -- made in 1999 -- to the same agency by then-CA Governor Gray Davis. 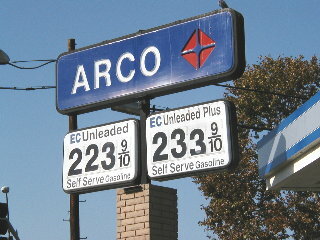 I am heartened by the April 1, 2004, testimony of Energy Secretary Spencer Abraham before the House Energy and Commerce Committee, in which he stated that the Administration is seriously considering California's request for a waiver of the oxygen mandate in the federal reformulated gasoline (RFG) regulations. As you know, California has been seeking the waiver since 1999, and on February 2, 2004, the California Environmental Protection Agency sent you compelling additional analyses demonstrating the basis for an immediate waiver. Under the Clean Air Act, California qualifies for a waiver because the state has demonstrated that the oxygen mandate prevents or interferes with the attainment of the national ambient air quality standards for particulate matter and ozone. Even beyond the air quality benefits, a waiver can play an important role in moderating the gasoline price spikes that have been experienced recently in California. The waiver will increase refiners' flexibility in producing gasoline, enabling them to change gasoline formulations as needed to respond to changes in supply and market conditions. This can be particularly important as we approach the summer driving season. 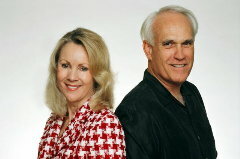 What is so important about the waiver is that it presents an all too rare win-win situation. It will improve California's air quality at the same time it moderates gasoline prices. The justification for a waiver is so strong that I believe the serious consideration your agency is now giving our request will necessarily lead to a grant of the waiver. 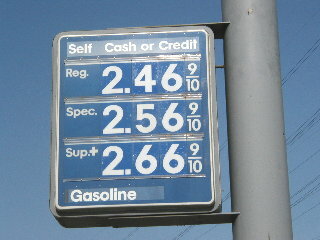 I trust that it will come soon enough that it can have an impact on our current gasoline price situation. To date, despite a request by a CA Democrat Governor to a Democrat administration, and the same request reiterated several years later by a Republican CA Governor to a Republican administrtaion, the federal agency has not yet taken action on CA's request. Crude oil prices are now setting record highs...above $50/barrel. Lakewood Blvd. @ Willow St.
Up in L.A., we spotted this on La Cienega Blvd. @ Washington Blvd. 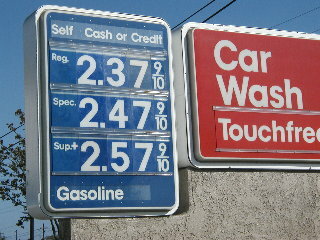 Meanwhile, Reuters reports that nationally, "Gas Hits 4-Month High of $1.99/gallon."